This is one of my favorite take for lunch meals. It’s every bit as delicious the next day and served at room temperature if you don’t have the opportunity to heat it up. 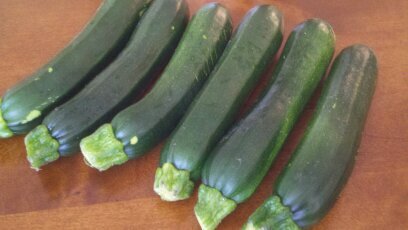 You can use yellow squash or zucchini, I like a combination of both, with a fresh squeeze of lemon. Three delicious flavors of Greece are featured in this recipe: lemon, oregano and garlic. Combine these with the squash, orzo and a splash of white wine, this will be a favorite dish I promise! 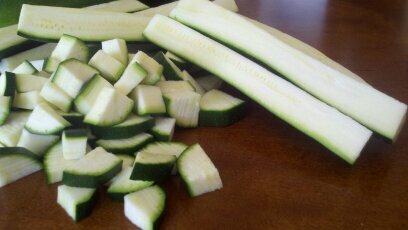 Cutting the zucchini first into strips and then into cubes makes the process quick and easy. 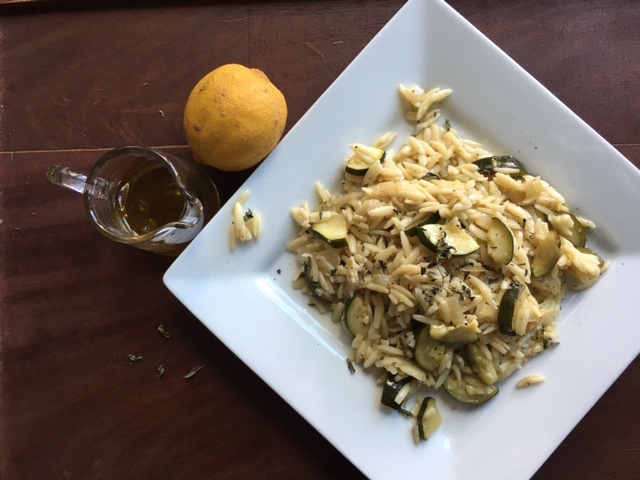 Cook orzo in 4 cups vegetable stock and 2 cups water for 8-10 minutes until soft but not completely cooked. Drain, toss with 1tsp olive oil and set aside. Sauté onion and zucchini in olive oil on low heat until onions are translucent. Stir frequently so that squash doesn’t brown. Add salt, ground pepper, oregano and white wine. Mix well. Cook uncovered on low heat for 10 minutes. 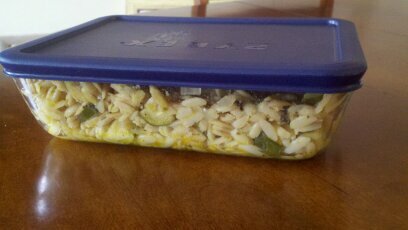 Add cooked orzo and mix thoroughly. Add lemon juice, stir and cook covered for 10 minutes. Serve this dish straight hot from the stove or at room temperature. And remember it’s a great dish to take for lunch! Just made this and it was as delicious as it looks! I’m a busy mom trying to keep the fasts of the church and this will definitely be made again. Thanks for sharing such delicous, easy recipes-like yiayia makes but with definitely less effort! I just made this for dinner and it was delicious! I cooked the onions pretty much through before adding the zucchini but otherwise followed the recipe. Thanks for a recipe I will definitely be putting in the rotation. I made this for lunch today with everything except for the white wine. It was really good. It’s definitely going in my recipe book for future. Thank you for posting this opportunity at the beginning of the Domitian fast!